Now, before you wrinkle your nose in Protest, allow me to explain. This recipe does not use Lasagna noodles. 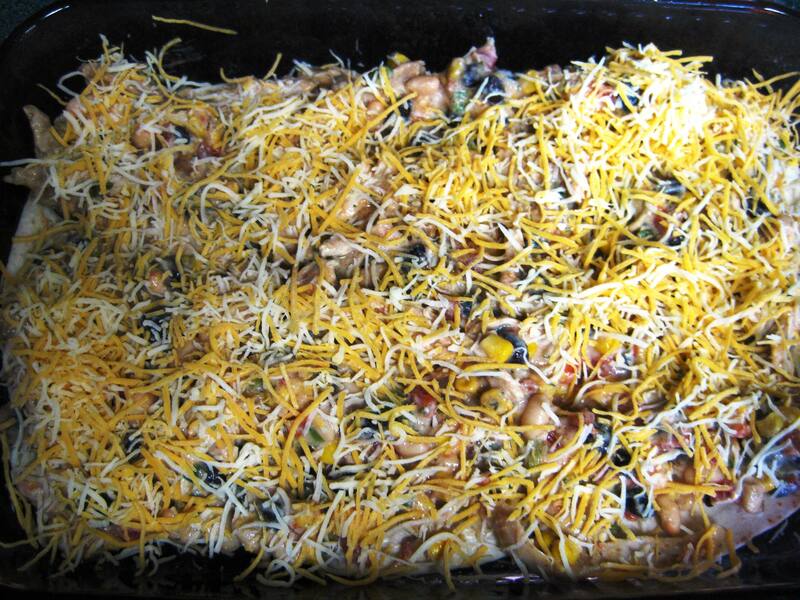 Instead, I replace those with layers of soft, flour tortillas smothered in a filling of meat, cheese, vegetables, and a rich cream sauce. Still have your doubts? 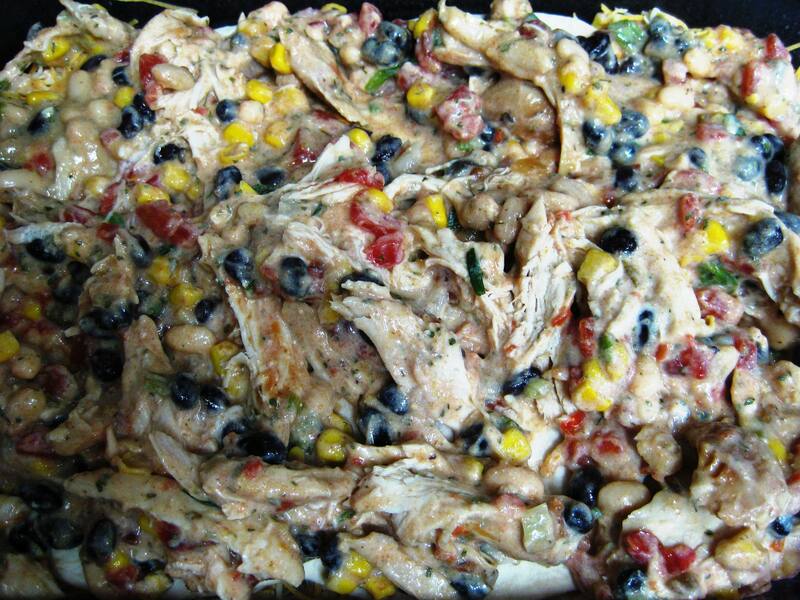 Combine the first 12 ingredients in a Large mixing bowl and stir thoroughly to combine. Next Spray a 9×13 baking dish generously with cooking spray. 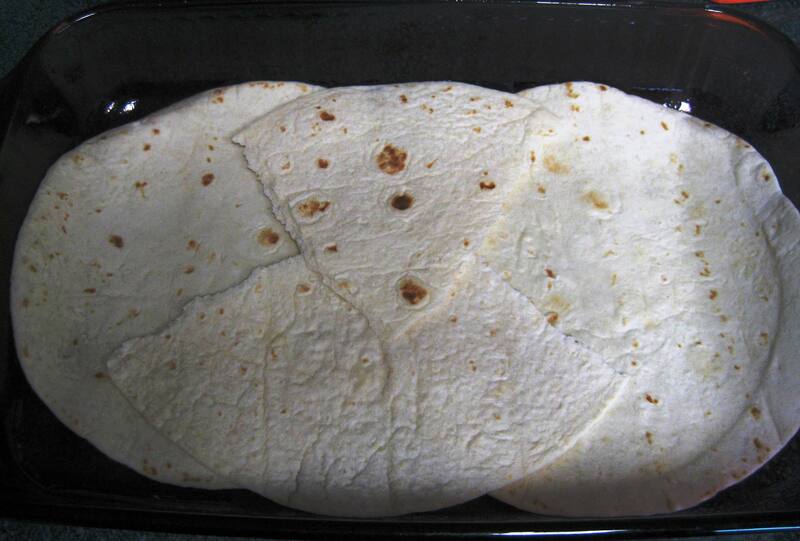 Lay two of the flour tortillas onto the bottom of the dish. Tear a third in half and place over the center portion of the dish left somewhat empty. Spoon a Generous layer of the filling on top of the flour tortillas. Remember, always make the bottom layer of your lasagna’s the heaviest, reducing the amount of filling with each next layer. This makes the lasagna more stable when slicing it later because it is not top heavy. 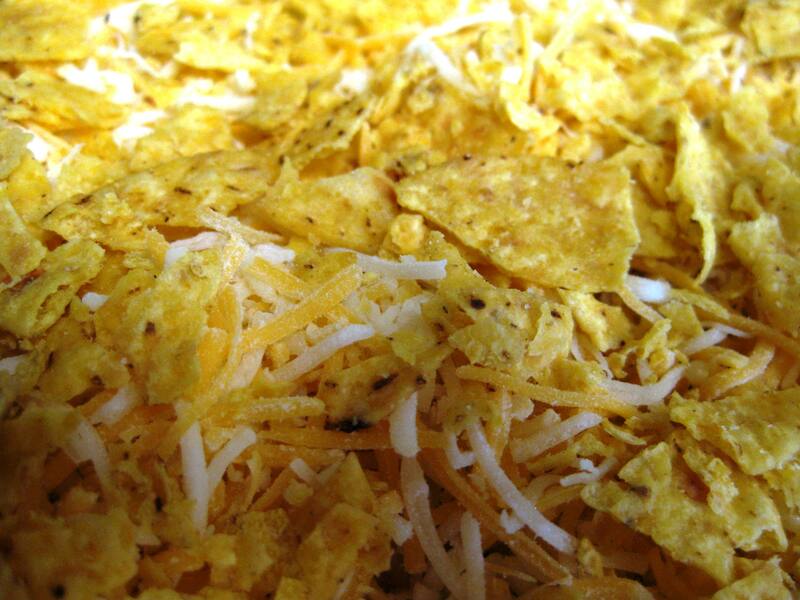 Sprinkle with roughly 1 – 1 1/2 cups of the Shredded Cheese. 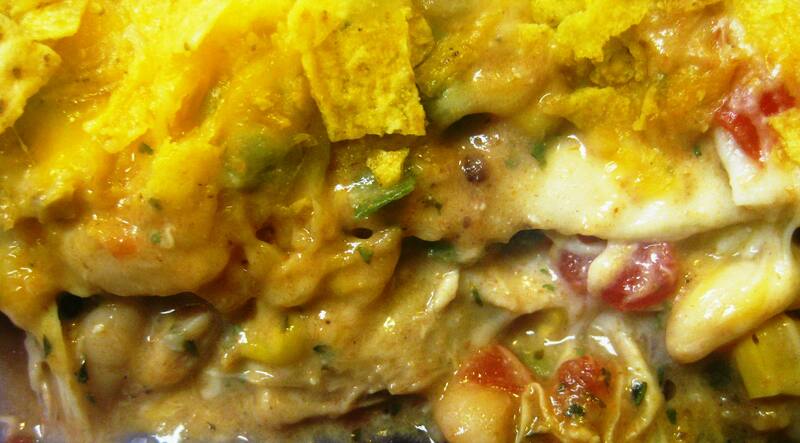 Lay the next layer of Tortillas over the top. Remember to press down on the layer at this point, compacting the filling between the layers. This also helps add stability when slicing later. Sprinkle Generously with Cheese so it is entirely covered. 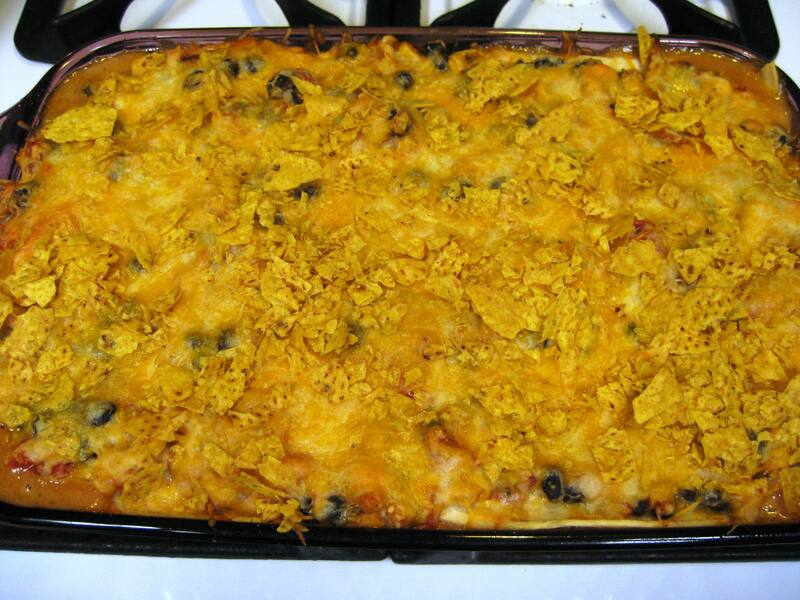 Sprinkle the crushed corn tortilla chips over the top. Bake at 350 Fahrenheit for 30-40 minutes or until heated through and bubbling hot. If you are calorie conscious, you can reduce a great number by using fat free or low fat alternatives. If you are Vegetarian, you can eliminate the Chicken, use a Vegan-Alternative meat or, you can also make this dish with a firm fish.